While there's a new sunny way in the relocated House of Commons, thanks to that nifty glass ceiling overhead, it's the same old fog on the floor. 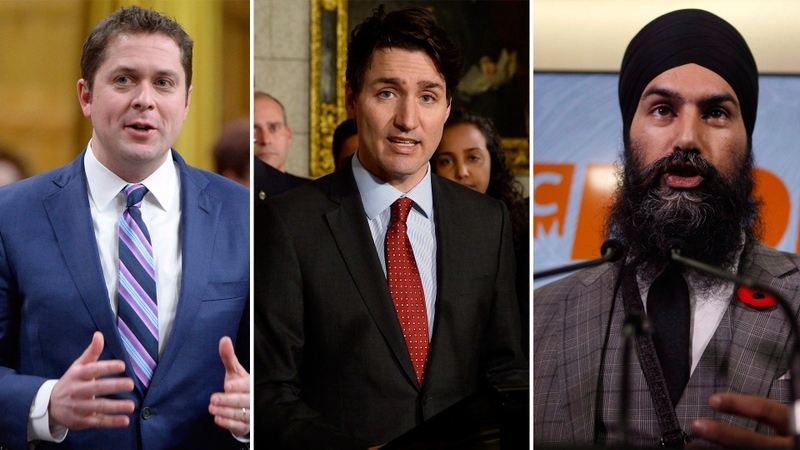 Election year dawned this week between the two main antagonists – Prime Minister Justin Trudeau verses Official Opposite Leader Andrew Scheer – and campaign narratives were being floor-tested. It appears Trudeau will henceforth deride Scheer as a Stephen Harper puppet who shamefully supported Brexit, has abdicated on a climate change policy and supports tax cuts for the wealthy. Scheer’s pre-election portrait paints Trudeau as a China-admiring weakling on the world stage; a massive-tax-boosting, celebrity-smitten wealthy heir who doesn’t understand real life. Then there's how both leaders talk about NDP Leader Jagmeet Singh…cue the crickets. So any rainbows-and-lollipops promise that this showdown will be anything but a gutter-wrestling affair will be the first campaign promise broken by both sides. Preliminary quibbles? Perhaps a few. The Conservatives deserve scorn for attacking Trudeau's $1.2 million inheritance as proof he can spend without any effort at household budget restraint. A million bucks isn't exactly a clover landing for life anymore. Trudeau is being ridiculous to frame Scheer as a foreign affairs flop because he sided with British voters to support Brexit or to demand Conservatives release an environmental platform nine months before voters are paying attention. As for nowhere man Jagmeet Singh, at least he was right to blast Trudeau for having Trumpian fun with figures when he said a million Canadians have found affordable housing under his watch. Even the Liberal's point man on the file admits the numbers have been double-counted to Trudeau's "rhetorical advantage." In other words, to lie. Ironically, this all rolled out as the government took aim at curbing foreign interests using false facts and figures as mind-altering voter click bait. So brace yourself, Canada. The spectre of voter manipulation from foreign operatives is real. But the greater threat to clear-sighted voting comes from the antagonists slinging made-up mud at each other under glass in the House of Commons.